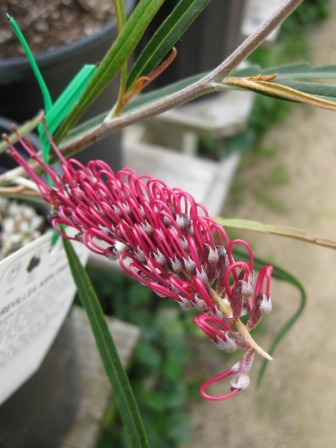 Attractive fast growing grevillea with spreading horizontal branches, army green leaves, white underneath and maroon/burgundy toothbrush flowers in spring-summer. Tolerant of heavy frost (Survived 2007 16F). 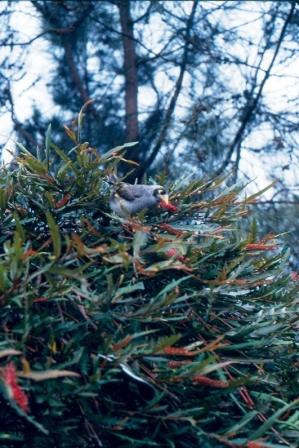 Excellent screen or hedge, attracts hummingbirds and grown commercially for cut flowers. Protect from strong winds.